In the Southern Hemisphere: Tropical cyclone (tc) 11s (Riley), located approximately 345 nm northwest of Learmonth, Australia, is tracking west-southwestward at 11 knots. 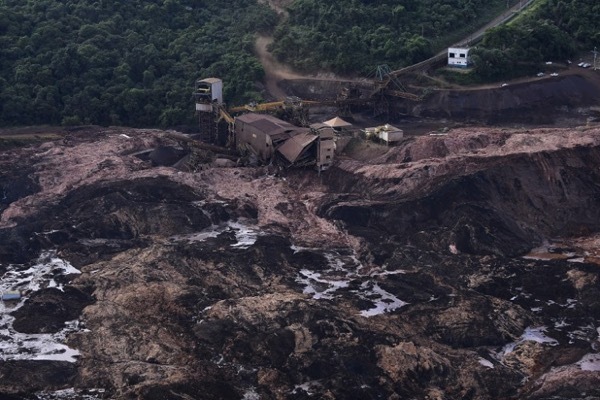 Brazil – Update – Aerial view of destroyed facilities after the collapse of a dam, near the town of Brumadinho in southeastern Brazil, on January 25 2019. A dam collapse unleashed a torrent of mud on a riverside town and surrounding farmland, killing 37 people, destroying houses and leaving 250 people missing. Firefighters on Sunday called for the evacuation of about 24,000 people from the Brazilian town as continuing rains added to concerns a second dam could collapse. Philippines – Nearly 20,000 individuals fled their homes in the Davao Region as the trough or extension of a low pressure area triggered floods and landslides. At least one person reportedly died in the floods. A total of 58 barangays across the Davao Region implemented forced evacuation for around 4,116 families. Australia – Update – Communities were cut off, farmers stranded and cows washed offshore as heavy rain pelted north-east Australia on Sunday (Jan 27), with one major river breaking 118-year-old floodwater records. The Bureau of Meteorology said Queensland’s Daintree River rose to 12.6m – a level not seen in over a century – and local authorities warned that some residents in remote areas could be cut off for days. The heritage listed Daintree Rainforest received more than 300mm of rain in just 24 hours and Northern Queensland is bracing for monsoonal conditions for the rest of the week.